Bob has been asked many times over the last 24hrs on his personal thoughts regarding the deaths of PC Fiona Bone and PC Nicola Hughes and so he felt it right to share those with our readers. Yesterdays events were a shocking reminder of the debt we owe to our colleagues/friends/police officers, those who put themselves in danger to keep us safe and secure. It goes without saying that our thoughts and I think the thoughts of the whole country are with the families of these brave officers at this impossibly difficult time, who were callously murdered responding to an alleged crime in action. Yet again we have had to taste the bitter dose of ‘reality’. The news tells us about murders, people brandishing knives and guns to savagely attack and kill others every day. This tragedy will/has opened up all the debates that time and time again does the rounds. Is it time to arm all police officers? Should we bring back capital punishment? But it will be ‘lip service’ sadly not action I feel, as it always is by the powers that be. If we want our streets to become a safe place we need action! Where is the deterrent I ask them, if it’s not in the courts of justice, the prisons, or on the streets? Are we surprised that people carry guns or other weapons? Are you aware some criminals even wear bullet proof/stab proof vest? To me those perpertrators give out one clear message. The review of the justice system is a mammoth, costly task – no wonder no one wants to take it on. But it is necessary otherwise what legacy will we be leaving our children? I am angry and saddened by recent events, knowing for one that the killer will be kept in ’comfort’ and looked after, protected, for the rest of his life and who knows he may even successfully make a claim that his human rights have been breached during his imprisonment, for one reason or another. Punishment for him? 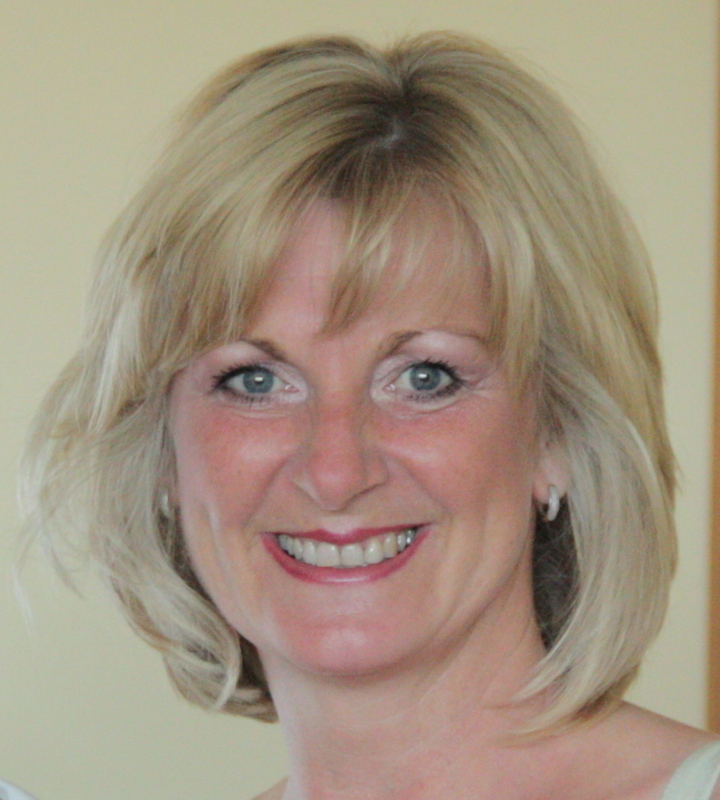 Justice for Fiona, Nicola and their families, friends and colleagues? The sad thing is like I said before the debates will continue, for a short time, the shocking news will take the ‘front page’… until it happens again, which it will as our precious ‘blue line’ fades away. Fiona and Nicola may you rest in peace. You paid the ultimate price protecting your community – I just hope they realise that! The prime role of an investigator, as I was for 28yrs, is to discover the truth no matter how distasteful or embarrassing that may be. The investigation should be on behalf of the victims and to trace the perpetrators. It’s a sad day in our society when integrity has not been at the forefront of a major investigation into such a devastating incident such as the Hillsborough disaster. This will leave a deep scar in the life of the police service eternally and undermine the good work that so many hardworking and dedicated officers do on a daily basis. Thank goodness the families have kept up the fight to make sure the truth is revealed at last otherwise it may have remained ‘swept under the carpet’ forever. And I wonder how many people do you think saw, or had access to the documentation that was revealed to us, only yesterday? My thoughts, as I am sure yours are, with the families. I’m so excited today to be talking to a real life International Private Eye Duo! Is there life really like Jame Bond? I know they travel light… Mmm… Why not drag up a chair, get a cuppa and come with me to find out? We are Worldwide Investigators, Tracing Agents, Researchers & Process Servers. We now have via our Worldwide Investigator Memberships, Professional Colleagues numbering over 4,000 and in 95 Countries. Our Mission is to provide International & National information. Our Product – Worldwide Investigations, Skip Tracing Agents, Process Service and all Allied types of Investigations and Research. Including Company and Personal Backgrounds, Full Credit Report Service with required Authorisation, Resume and CV verification, Company Assets located and checked. Site visits attended, Mystery Shopping, Information Verification. Beneficary Searches, Land and Property Identification and Verification, Vehicle Verification, Driver’s License History and Business Intelligence Reports (Samples provided) . Just ask we cannot possibly list all the Products within our Portfolio! Hello Phil and Yin, thank you very much for talking to me today. Oh, boy are we all in for a treat! So, let’s waste no time I want to know does it take to be real life International Private Investigators! Where are you both from originally and how on earth did you get into your line of business? We’re both Yorkshire born and bred. Actually we were born in St Luke’s hospital, but years apart! Yin laughs. Phil was brought up by his mother and grandmother and went on to do part time work in a Bradford enquiry agent’s office at the age of 14 years, as the junior. He was mothered by the women in the office. We are actually still in touch with the ladies of the typing pool and meet up as frequently as possible. He started full time employment there when his schooling ended and the owner of the company insisted that he went to night school to learn short hand and typing as a condition of him working there. So there he was with a class of girls, a popular young man, until he came top of the class in the first test. Phil has had a varied career path that has included being an enquiry agent, security officer, sales and marketing for a blue chip company, and a police officer before becoming self employed at JJAssociates International. He is well known in the circles as the British PI in the Hawaiian shirt and is often called ‘The Man Who Knows’. 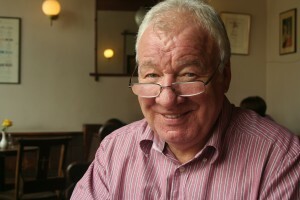 Phil police career saw him serving in West Yorkshire Police Force which is the fourth largest police force in England. He was based in Queens Road and Toller Lane, Bradford but left shortly after the Bradford City fire. Yin is first generation born from Hong Kong Chinese origin. In fact her parents are still on honeymoon. They flew to the UK on a BOAC flight 2 days after marrying and have been in the UK ever since. They still live in Bradford which is where they call home. They brought their family up the traditional Chinese way and on the first day at school, Yin was only able to speak Cantonese and had to learn English whilst there as a minority, the only Chinese pupil of the school in the mid 1960′s. Sports played a huge part in Yin’s school life and she was a team member of every sport available and became a swimming instructor. She has had a few years involved with a wine bar/bistro in a Yorkshire village which is best known it’s for literary connections - Haworth the home of the Bronte sisters. 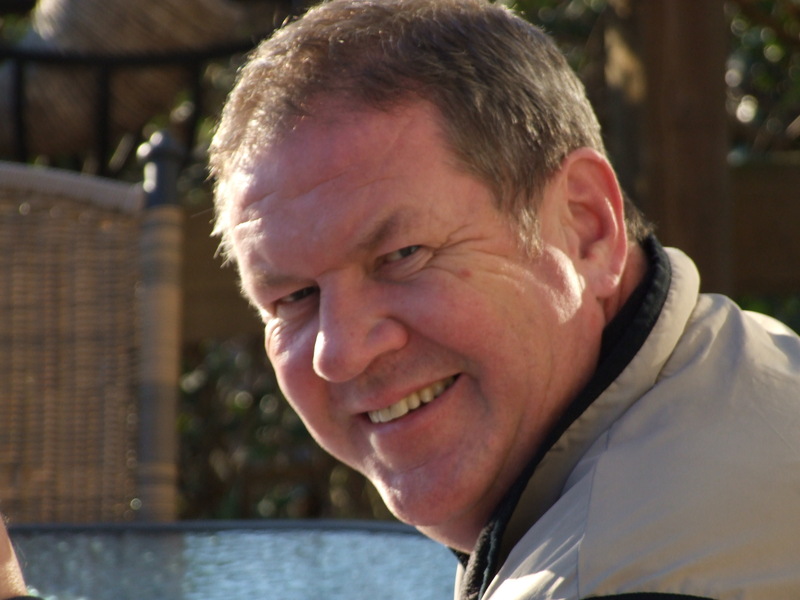 Phil has collected various qualifications through the years including RSA typing, computing, sales and marketing, various workshops & educational projects including body language with the FBI. He continues to learn through investigation conferences and life! Yin obtained GCE O levels and A levels, has a swimming instructors certificate, business management, including sales &marketing, computing and again continues to be educated through the conferences they attend which includes body language with the FBI agent, hand writing analysis and blood and murder crimes scenes with Dr. Henry Lee. Now I’m sure everyone is interested in your work at JJAssociates. What do you do and how did you get started? Ooops first rule of interviewing is one question at once! Okay Bob! 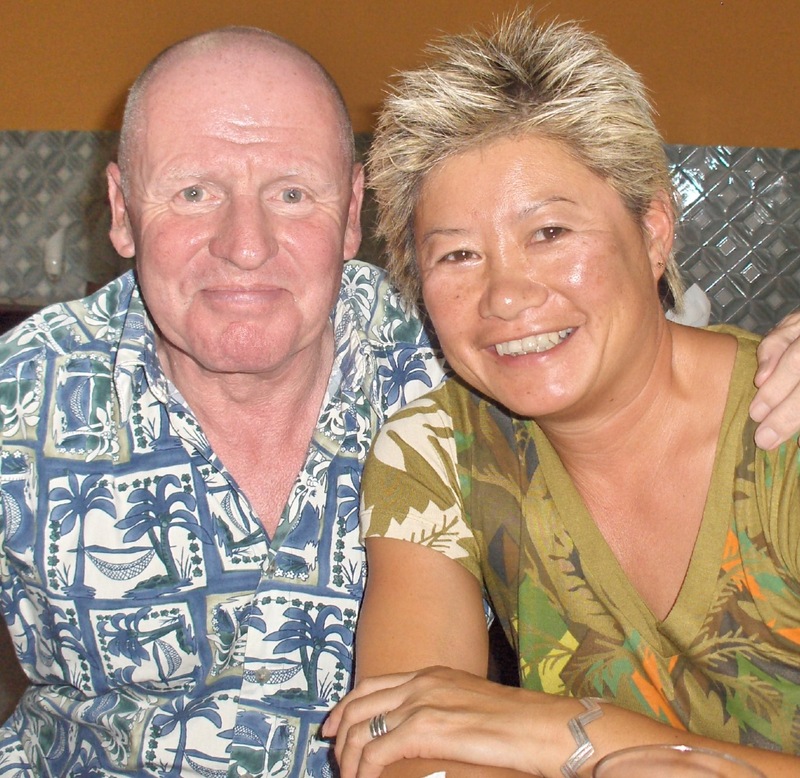 In 1986 right out of the blue – we’d just been married for a year, Phil received a telephone call from a PI (Private Investigator), who ran a successful agency. Unbeknown to us at the time this was the phone call that was going to change our lives forever. The old acquaintance was about to retire and wanted to know if Phil was interested in taking over the business, which would close down if not.It took just short of one year and endless meetings to convince Yin that this was the way to move forward and that being an Investigator would be a good decision. You’ve been running the business for along time and are internationally well known for your work. How have you managed that? Well, it’s over 25 years ago now. Yin learnt to type and organised the office and all the cases. The general day to day office work and allocation was run from an office in our home town. One of our solicitor clients assisted with training Yin with the rules and regulations and requirements. Phil became one of the roving investigators travelling the length and breadth of the UK as required, living out of a suitcase and clocking up over 50,000 miles annually. The first year’s turnover was quadrupled and cases became more varied. Yin broke into what was a ‘man’s world’ at that time and the former Police officers patch! We have had over 40 individuals working on our behalf on numerous cases at one time. We work in various fields, tracing and locating for solicitors and companies and we also specialise in insurance surveillance cases which break cases for them with the compensations claimants. Carrying a large video camera and SLR camera was made easy as Yin was the stereotypical ‘oriental abroad’. Attention to detail has been an advantage. We did have a number of excellent surveillance operatives from military backgrounds and retired officers who also ‘cracked’ cases for us. That is all over 12 years ago now and business has since changed dramatically for JJ Associates, technology is our new best friend. A ski trip to USA was arranged and we started using the Yahoo groups online, so we place a message on the New England region of the USA explaining we would be there for a couple weeks and would like to meet some American Investigators. We got a few replies and met up with them and that was the start of our extensive travel over there. We are still in touch with Bob who came to meet us in Killington, Vermont all them years ago. We joined the state association immediately and are still members today. 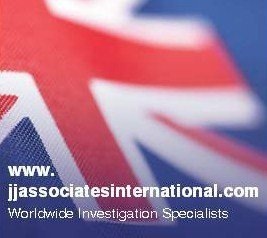 Cases for the UK and Europe became part of our every day work load and we now work and advise on cases worldwide and believe it or not we now introduce American investigators to each other. We began attending as many American state association conferences as possible, networking hard to meet new contacts coast to coast. We stood out as a unique couple, easily recognisable in our Hawaiian shirts! The west coast of America was calling so we attended the annual California Liscensed Investigators conference in Reno, Nevada and have not looked back since. During that conference Yin’s sky jump from the Auckland Sky Tower was featured in the PI magazine and the readers had ‘met’ Yin before we arrived. Since that time We have been and are CALI’s International members and have been guest speaker at a number of their city and interim mid- term conferences. The Voice of America interview was very interesting and fun to be involved with. I bet! Bob and I get asked on so many occasions how we work together – in many marriages it would be a short, narrow path to divorce. What makes working together work for you two? We work on different things and that seems to be the key – otherwise it’s WW3! Like Bob and I you seem to be interested in people that why we love doing book signings and talks, do you think that’s helped in your line of work? Your international business is going really well. Why do you think you are both accepted so well around the world? I guess just being ourselves and easy going helps. It all sounds very exciting. Is being a PI really like being James Bond? No, it means lots of computer time. You must both love travelling. Do either of you suffer from jet lag? Travelling is wonderful and exciting for us and we are lucky not to suffer much with jet lag. We just sleep lots and drink lots of water but a good trick is to set your watch to the destination time on departure and live that time zone immediately you take off. Our case load has been very varied and interesting this past year. We’ve attended lots of conferences and Phil went solo to San Antonio, Texas. I can’t eat many spices… It’s a real heel. If you’re travelling to exotic places do you need to be careful what you eat? Phil doesn’t like anything too spicy but the hotter the better for Yin! We always have a mystery dish in a new location. Sometimes we don’t understand the language so it is a total surprise. This way we have discovered many favourite dishes we would otherwise not have tried. On our travels we always visit the local markets. Yin is a foodie and Phil usually finds her by the spices and herbs or in the fruit and veg aisle. Staying in hotels all the time is not all it’s made out to be is it? I know that from when we tour. How do you cope living out of suitcases? Hotels are okay. But we are apartment people and have found some wonderful places to stay all over the world. Phil doesn’t pack he’s still in training! But when we sold our house to prepare to leave England we had a rule we still live by, bring anything in and it has to be a replacement, not an addition – a necessity not a want. We had to get our possessions in a hand baggage size case when we left the UK. We had no other luggage just the two hand luggage bags and a laptop each. Our American friends we shocked when they picked us up from the airport and people worldwide cannot believe we travel light as we do. Oh, I admire you! We went on a two week book signing tour at the beginning of the year and ended up calling at our local garage as the car wouldn’t lock. It all turns out (for readers that have not read our tour blogs), that the boot was that full that the sensors wouldn’t lock the car electronically. I daren’t tell Bob you can live out of a hand luggage bag Yin he’ll want to take you two next time! Who would your ideal dinner guests be? Yin – A big group of people to cook for! We both like going to the movies, spending time with friends and Phil rides his bike. Yin likes cooking and being by the sea she also keeps fit and loves reading crime stories. Phil is a beer monster & he likes brandy. Yin likes wine and Gin. More travel, we are planning a visit to Asia in the near future. And being in a DI Dylan book, now that would be awesome! Do you have a blog/website? If so what is it – just so people can get in touch with you? Carol’s ‘Close Up’ with Author Harry Dunn! My ‘Close Up’ today is with Caffeine Nights Publishing Author Harry Dunn. Jack Barclay qualifies as a man who can walk these mean streets. 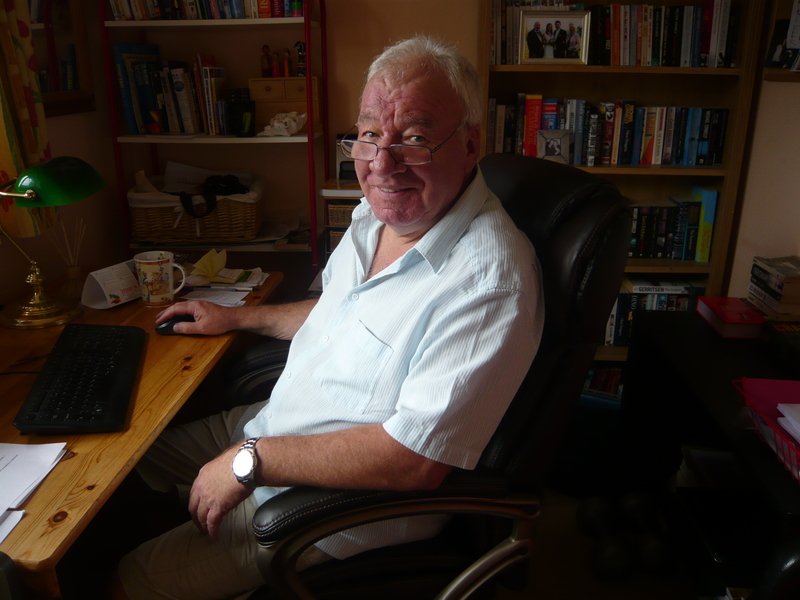 Harry has drawn on countless life experiences to help create a tense, fast paced and highly entertaining novel. He is married with two grown up children and lives with his wife in Berkshire where he is a member of a thriving local writers group. Widely travelled, he is also a frequent visitor to London’s theatres and galleries and enjoys wandering around observing life in the Capital. This is balanced by visits to the sea where he loves to write. His golf handicap remains stubbornly in the high twenties. Thank you so much for taking time out to talk to me and on the day of the release of your first crime novel ‘Smile of the Viper’. How exciting! So let’s start with an easy question. How would you describe Harry Dunn to the readers? Tall,slim,athletic build then I’d be a little more honest and say, actually I’m 5’8”, grey hair but plenty of it, a good sense of humour and glass half full. What do you miss about your work organising book tours for leading celebrities? When travelling with the cookery celebrities, we were always given the best available table in the restaurant. The really big household names were always a pleasure to be with. I was very fortunate. Mind you, having to film at North Shields Fish Market with Keith Floyd in the bleak mid winter at 6am after a ‘robust’ meal the previous evening/night, was a challenge. Tell me about an amusing experience you had along the way? Shhh… Is it true they’re all divas? I had a map of the UK on my office wall courtesy of a national hotel chain. I arranged to meet a VIP at one of their new hotels outside Liverpool. Unfortunately it hadn’t been built yet! The VIP (non cookery) was not amused. Difficult at the time but of course amusing now. Why choose to write a crime novel, was it just a flippant comment from someone or was it always an ambition? I had wanted to write a crime novel for many years. Being on the road so much, I devoured novels by Elmore Leonard, George Pelecanos, Ed McBain, Michael Connelly, Robert Crais, John Grisham and others. I actually started Smile of the Viper about five years ago but after writing a few thousand words, stuck it away in a drawer. I always had a picture of the lead character, Jack Barclay. Tough on the outside but an endearing personality. Who do you admire in the literary world or who do you consider your mentor? Reading Ernest Hemingway always gave me so much enjoyment. Nearer home, my writing mentor is the published author, Judy Bryan. She has been wonderful to me. Taught me the craft of writing. She also edited and proof read my novel – many times. I will never be able to thank her enough for her unswerving encouragement, patience and friendship. Where do you write, do you have a regular pattern or routine? I write in my little study, on a bench by the River at Henley on Thames and by the sea when I can. I try to write 1500 words per day. I’m a bit of a night bird so my light is often the last to go out in our street. Never too late to rock and roll. What are you writing now that ‘Smile of the Viper’ is finished, published and released? I love the cover by the way, can’t wait to read it and it’s actually out today. Yes, September 3rd. The cover was conceived by Mark (Wills) Williams at Caffeine Nights. It is wonderful. I am so indebted to him for coming up with it. Very striking indeed. I’m a third of the way into book two. Jack Barclay is on the trail of identity thieves and this time he visits (so far) Helsinki and Mumbai. Danger round every corner of course so Jack has to keep on his toes. Once I get into a story, I do find it addictive. Share something with us that nobody else knows about Harry Dunn? I think I’m the only member of my golf club to have had a hole in one and shattered the clubhouse window. (On different occasions.) I don’t play a lot! I’ve been known to have the odd glass of wine and a few beers. I love cooking with a glass of wine. This could be the reason my diet plan is creaking. I blame it all on the TV chefs. Who would your ideal dinner/party guests be? My wife and family. We have so much fun round the table. And Jack Barclay. If you won the lottery what or who would you spend it on? I usually forget to play but I would be very generous to those I love. I would also help fill the coffers of some favourite children’s charities. Are you a savoury or sweets type of guy? Oh my goodness. Both, I think. I cook a mean curry but am not averse to a little piece of dark chocolate. Supposed to be good for you. Sneaking out of the house when I was five and getting on a bus in Aberdeen to Auntie Mabel’s. She kept sweeties in a jar in the sideboard. Boy, did I get it when I arrived home. 1976 and 1978. My children were born. My Mum died recently. A terrible shock which one is never prepared for. I cried that day with my twin brother Euan. I’m so sorry for your loss Harry. Losing someone close is never easy no matter how prepared for it we think we are. My dad’s sister died recently too, and like your mum it was expected but still came as a shock to us all when it actually happened. Smile of the Viper was originally set in Los Angeles. A very successful published author asked me how well I knew the City. When I said I’d passed through once, Margaret Murphy said, change it to somewhere you know. LA became London. I’m very new at writing so don’t feel to qualified to dispense advice. All I would say to anyone thinking of trying is – read as many books as you can, join a writing group, find a writing buddy you can trust and start writing. Oh, and finish! Tom Wolfe’s ‘Bonfire of the Vanities.’ The brilliant and timeless novel of the eighties. If your book were to be made into a film who would you like to play your protagonist or indeed any specific role? Hey, good choice Harry. How about a cameo role when it happens? Just to be remembered would be fine. Harry, I promise once seen you will never be forgotten! It has been so lovely conversing with you over the last few months and speaking to you today. Thank you so much for answering my questions. I want to wish you all the very best with ‘Smile of the Viper’ and all the best with its sequel too. I’m sure this is only the start of Harry Dunn as an Author. I’m off to get my copy right now! Thank you for inviting me to answer your questions Carol. It’s been an absolute pleasure Harry and for anyone who wishes to buy ‘Smile of the Viper,’ like I said it’s out today! 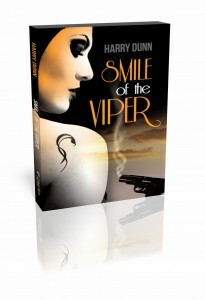 And ‘Smile of the Viper’, is also available on Amazon http://www.amazon.co.uk/Smile-Viper-Harry-Dunn/dp/1907565248 and all good book stores! London private investigator Jack Barclay is on the trail of financier Tom Stanton who has disappeared with £1million of clients’ money, leaving his desperate wife and children behind.Stanton’s Parisian mistress, Danielle, is also involved with the boss of a drug smuggling cartel and Stanton is seduced into laundering money for them. When £4million of drugs cash goes missing and Tom is the suspect, he and Danielle go on the run.The stakes are raised with the kidnapping of Stanton’s daughter, and Jack finds himself in a race to find Stanton before the mob do. As he hunts him down, he uncovers a nightmare world of torture, betrayal and murder, putting his own life in danger.Jack quickly realises those who enter the netherworld of the Russian mafia may not get out alive.